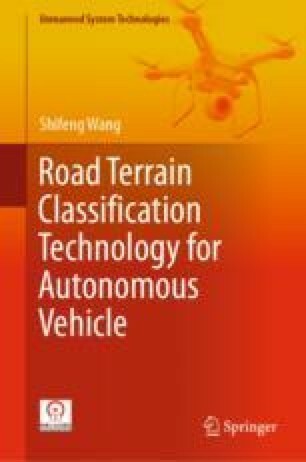 The aim of this research is to develop a methodology to identify upcoming road terrain types by using on-board sensors. An accelerometer, camera and LRF were employed and investigated, respectively. However, all of these sensors have their own advantages and disadvantages. To improve the classification accuracy of the LRF that works for predicting the forthcoming road terrain, an MRF multiple-sensor fusion method was then proposed.